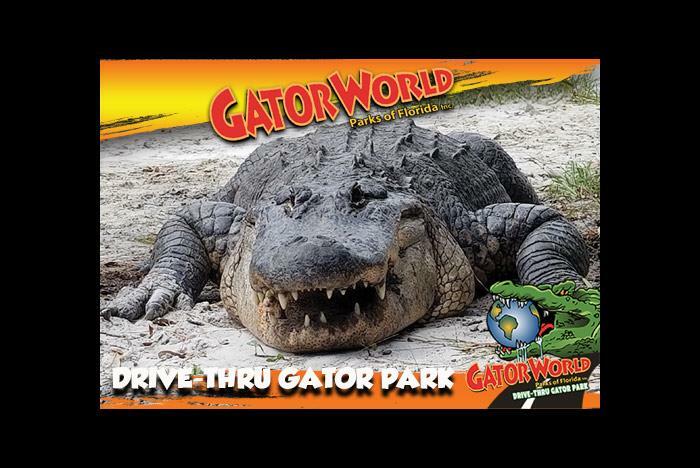 See a whole world of alligators from the comfort of your car, rain or shine. At the end of the drive-through alligator park, you can feed a gator, take your picture with Big Al, and even hold an alligator. 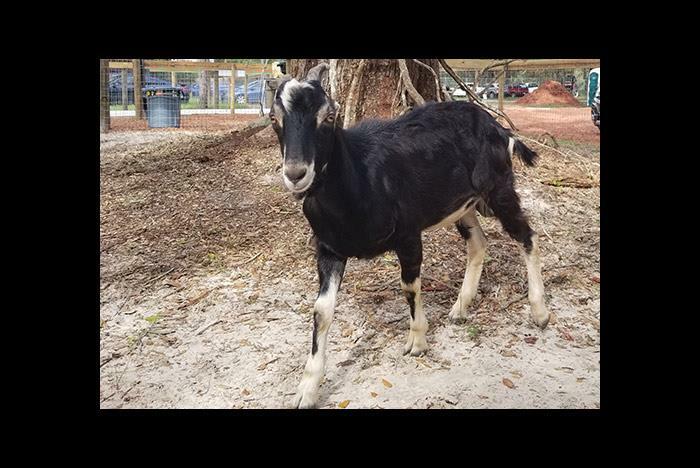 Plus, a petting zoo is onsite for guests looking for a tamer activity in Central Florida. Remember to bring your camera for this one-of-a-kind gator experience. Located on State Road 44, right off of I-75. The Everything Wristband lets you hold, feed, and get your picture taken with a gator. Remember to bring a camera. Make sure your car has enough gas to complete the drive-through course. 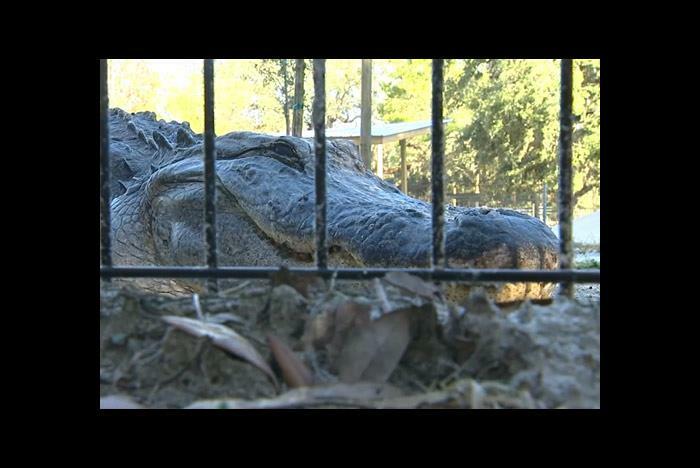 GatorWorld is closed on Sundays and Christmas Day. 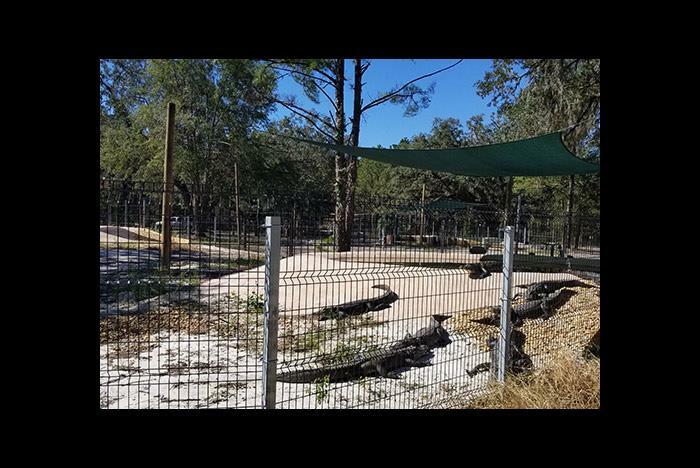 Discover old Florida and experience the easiest way to see 400+ alligators in Central Florida in our 15-acre drive-through alligator park. Stay in the comfort of your car, rain or shine, with no walking. 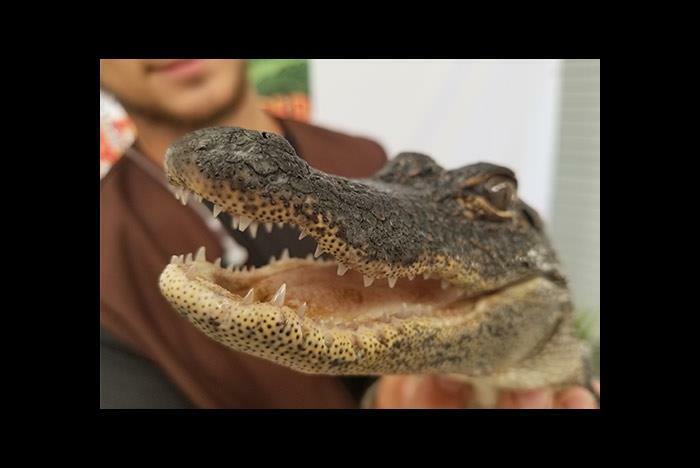 You'll see everything from baby gators to massive monsters in our no-kill park. 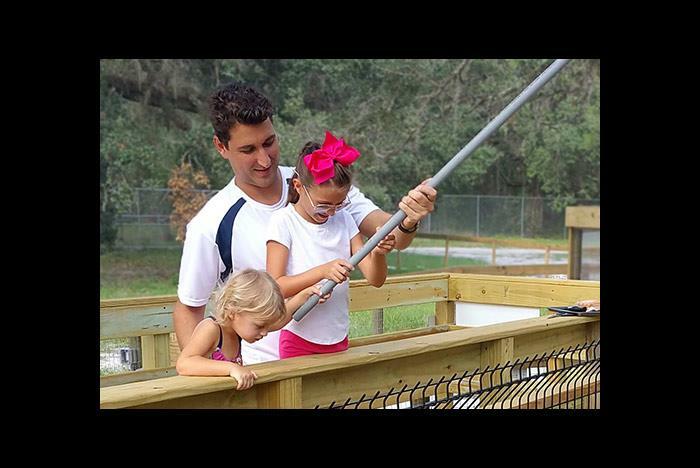 After the drive-thru, you can get out and see the baby gators, feed some hungry youth gators, and hold a gator. You are free to take as many pictures as you like with your devices. Be sure to take a selfie with Big Al our 13 foot, taxidermied gator. 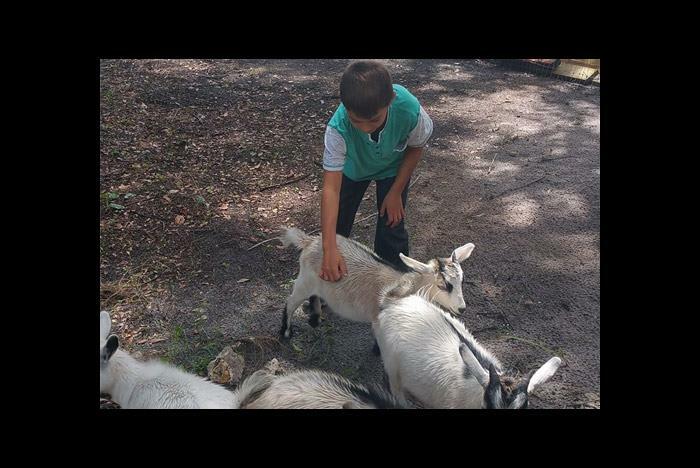 Then head out and enjoy our petting zoo full of lots of farm animals. We've also recently added a new Bunny Barn with plenty of baby bunnies to hold. We are located one mile west of I-75 on State Road 44, near Wildwood and only 7 miles from The Villages. Open 10:00 am to 4:00 pm ET Monday through Saturday. Closed on Sunday (Hours of operation may vary). GatorWorld is located one mile west of I-75 on State Road 44, near Wildwood and only 7 miles from The Villages. What does the Everything Wristband get me? 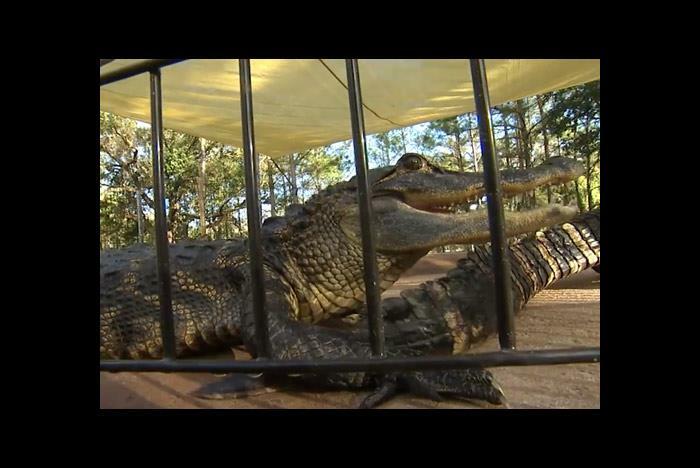 With the purchase of a wristband, guests can hold a gator, feed a gator, and get their picture taken with a gator in addition to the drive-through course. 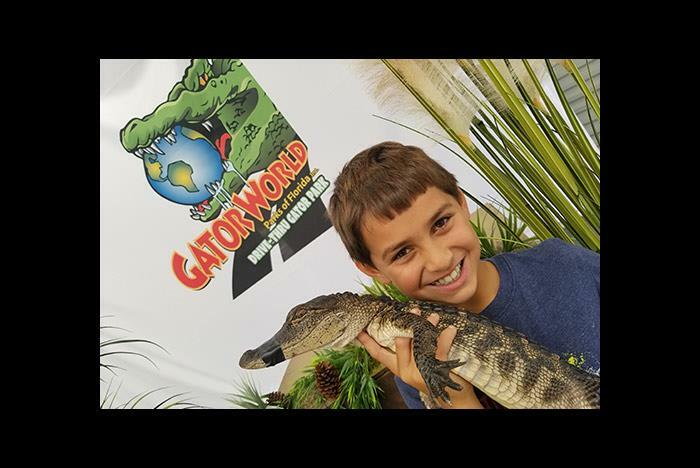 Is GatorWorld ideal for all ages? Yes. With the drive-through portion of the park, you don’t have to leave your car, making it an accessible experience for all. In addition, the park offers a petting zoo for younger children. For the ultimate gator experience, bring a camera and capture your memories for a lifetime. GatorWorld is open rain or shine. GatorWorld is open Monday through Saturday from 9:00 am to 5:00 pm. Closed on Sundays year-round. GatorWorld is closed on Christmas Day, as well.